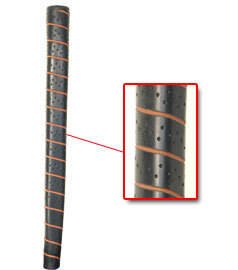 This soft putter grip is made from a high quality rubber to provide excellent feel and control. The flat front of the grip makes it easy to square the blade of the putter to your intended target, resulting in less putts!! Tuotteen lisäyspäivä: tiistaina 12 elokuuta 2008.